September marks the start of fall and back to school, but did you know that it’s also National Chicken Month? It’s actually the second annual National Chicken Month so it’s still a fairly new celebration. During this month, we celebrate all things chicken from delicious recipes to our hardworking Canadian farmers. It’s always a good time for chicken in my books. Chicken is Canada’s #1 protein choice and it’s easy to see why. Chicken is one of the most affordable meats in my local grocery stores and it’s so versatile to cook with. Plus, it’s also healthy with a mix of lean protein and healthy fats. Chicken is just plain delicious. I’ve been working with the Chicken Farmers of Canada for a number of years and featured countless chicken recipes on my blog. Though I will say all are yummy, I do have a few favourites. This past summer, Maple Dijon Grilled Chicken has graced my family’s plates a number of times. It’s so easy to make and always a hit. I love that it has a little bit of a Canadian flair. One-Pan Lemon Thyme Chicken is a weeknight favourite. I love it’s easy clean up and the fresh flavours. My Slow Cooker 40 Clove Garlic Chicken is also well-loved. Don’t be scared by all the garlic! It takes on a sweeter flavour once it cooks. These recipes wouldn’t be possible if it weren’t for our Canadian chicken farmers. This is the month to thank a farmer for all that they do! I know firsthand how hard farmers work. My Grandma June and her partner, Clarence, were farmers. I remember them getting up before the sun came up to head out to the farm to tend to the animals and work. I used to love going to visit and helping them out with some of the chores. 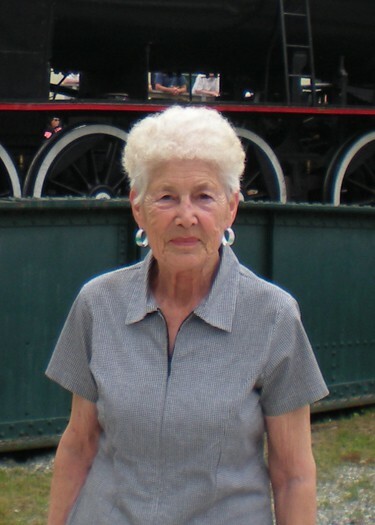 I remember thinking how much work it was and felt proud of my Grandma (and Clarence). It was always farm-to-table at Grandma’s house because we’d eat the fruits of the labour. She was the best cook! Canadian chicken farmers follow the same strong work ethic as my Grandma and Clarence. They deliver a high quality product that they also feed to their families. I know that the Canadian chicken farmers follow the auditable Animal Care Program and On-Farm Food Safety Assurance Program (OFFSAP) that ensures the highest possible standard of care is followed with food safety and animal care. You can trust when you buy Canadian chicken that you are getting the highest quality product. Staggering, right? I was impressed when I first read these statistics because I didn’t realize how far reaching their impact was. I mentioned that chicken was one of the more affordable proteins in the store. Did you know that price of chicken has only gone up 5% since 2013? Compare that with the price of beef going up 34% and pork at 18%. I like that chicken is budget-friendly! It’s thanks to their supply management system where farmers carefully match production to meet the demand of chicken. As you can see, there are lots of reasons to celebrate Canadian chicken this month. Why do you love eating chicken? I love the sound of the One-Pan Lemon Thyme Chicken! 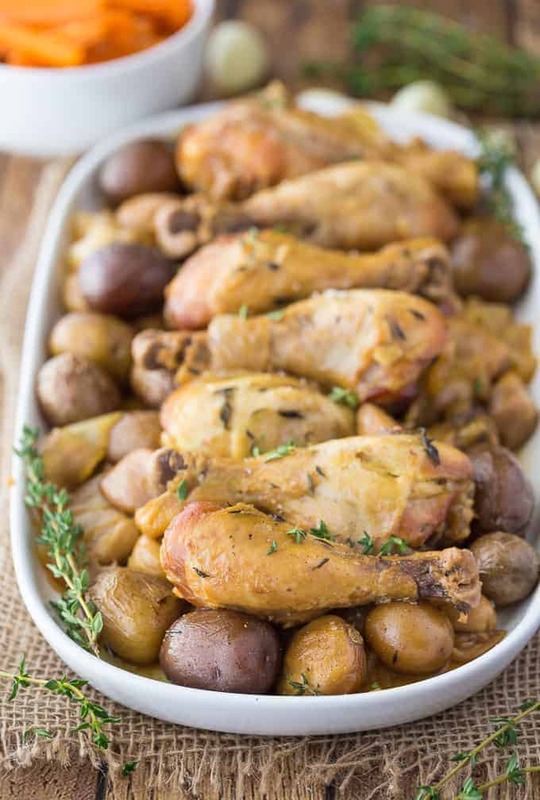 The One-Pan Lemon Thyme Chicken is my kind of meal.Chicken is by far my favorite dinner and this sounds delicious. 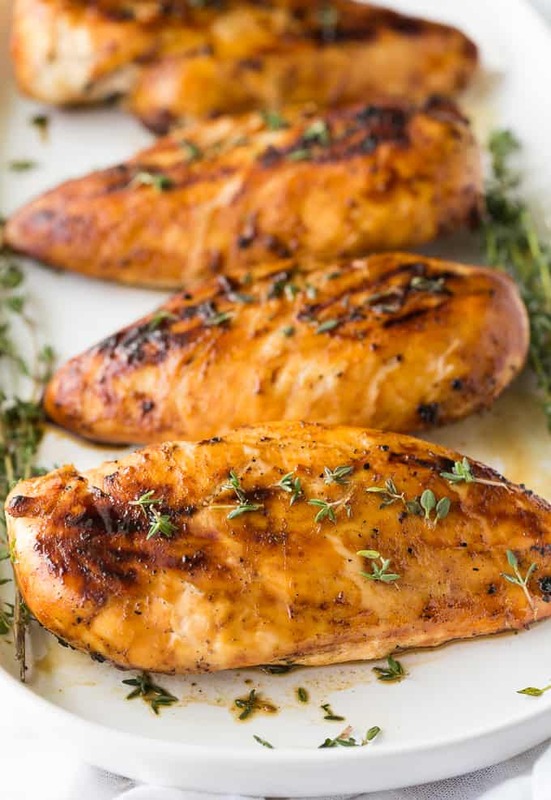 Chicken is one of my favorite dinners and the lemon thyme chicken sounds delicious. Huge Thanks to chicken farmers like your Grandma June and Clarence. Chicken is my favourite meat. 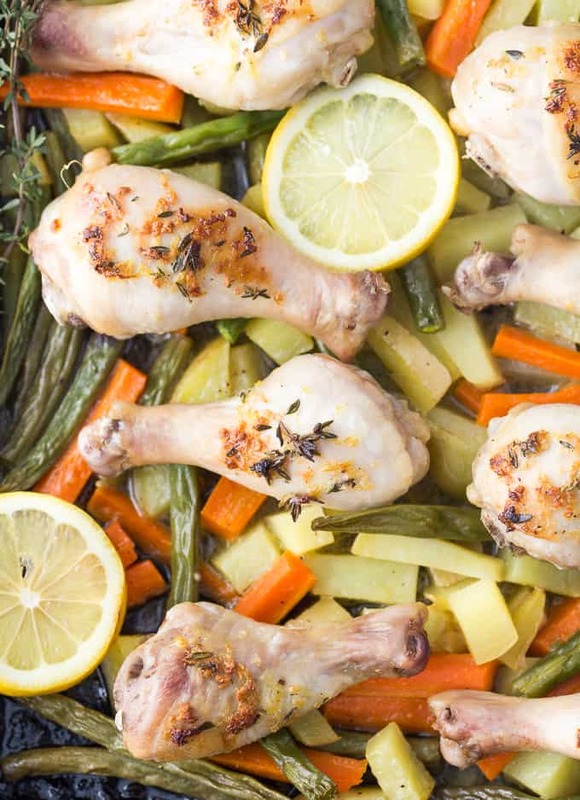 The One-Pan Lemon Thyme Chicken looks and sound delicious! I have to admit Slow Cooker 40 Clove Garlic Chicken, seem like so much garlic! I love making chicken in the slow cooker – so tender and I can set it and forget it. We just got a new instant pot so I want to see what we can do there! I just love it when I find a recipe I want to try that lists ingredients that I already have in the pantry. And “Maple Dijon Grilled Chicken” is just that kind of recipe. Chicken is the main meat we eat at our house, so many ways to cook it and ways to enjoy both white and dark meat. Awesome stuff, chicken is learn and healthy.